It's becoming a tradition that our school's last big event of school year is a STEAM night. Participation is mandatory for 5th graders and voluntary for all other grades. The good part about STEAM night vs. the regular science fair is that any project is allowed for submission - from paintings to software programs written in any imaginable language to math proofs to good old science. Smarty entered STEAM night preparation after an exhausting Tech Challenge project, and we tried to convince her that perhaps she should sit this one out. But her best friend who is in the 6th grade offered to partner with her, and she eagerly jumped at the chance. To tell the truth, I was skeptical. 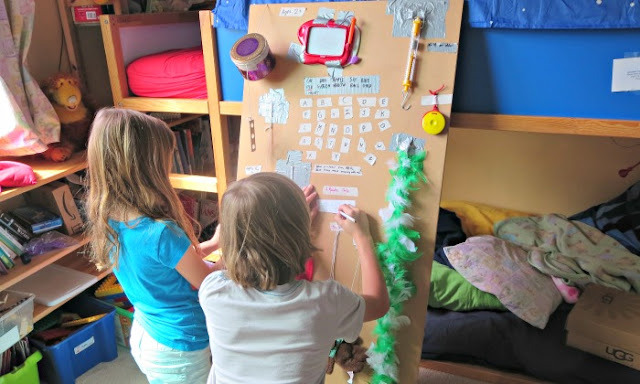 These two teamed up as fourth graders to deliver a "busy board for babies" as a project for a science fair - except that they never actually got it to the science fair - Smarty was visiting Germany with her Dad, and her friend did not bother to finish the poster. 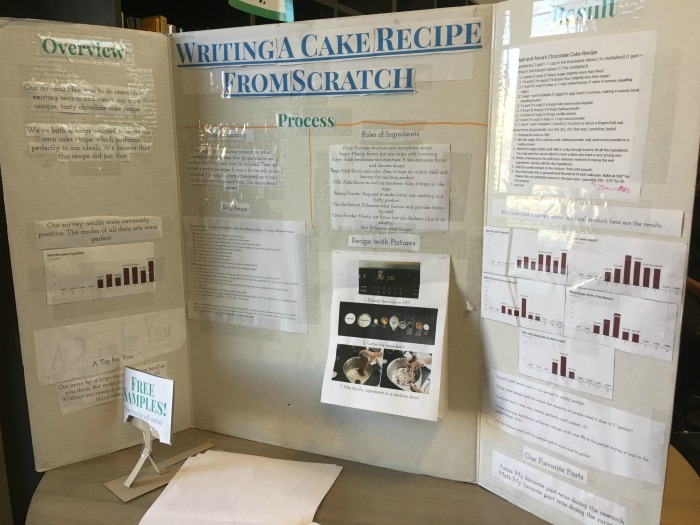 Now, they decided to have a science project on How to Bake a Cake from Scratch. I loved walking through the rooms of STEAM night and looking at other projects created by students from kindergarten all the way to the 8th grade. There were projects where several students collaborated together, and then there were some individual projects. Yet again, I was struck by regret of leaving this wonderful community. However, we have only one year of middle school left anyway, and we'd rather risk the 8th grade to try something new than do it in the 9th grade. Hopefully, everything works out - if not, perhaps Smarty will reunite with her friends in our local high school. One of the projects from 5th grade. 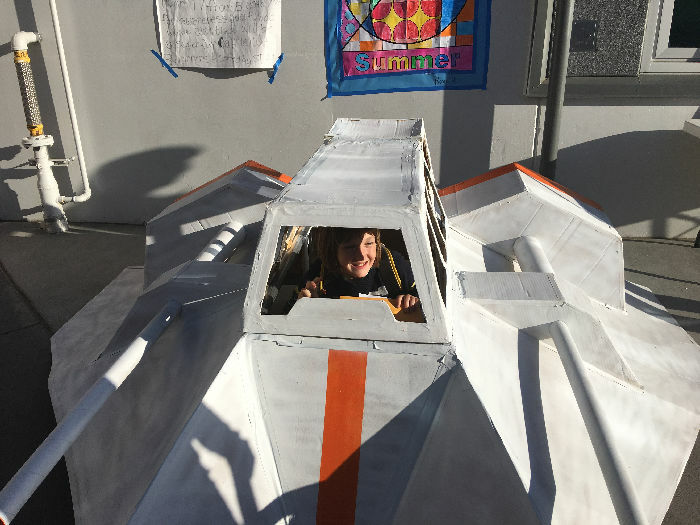 A Star Wars snow speeder made with PVC pipes and cardboard. 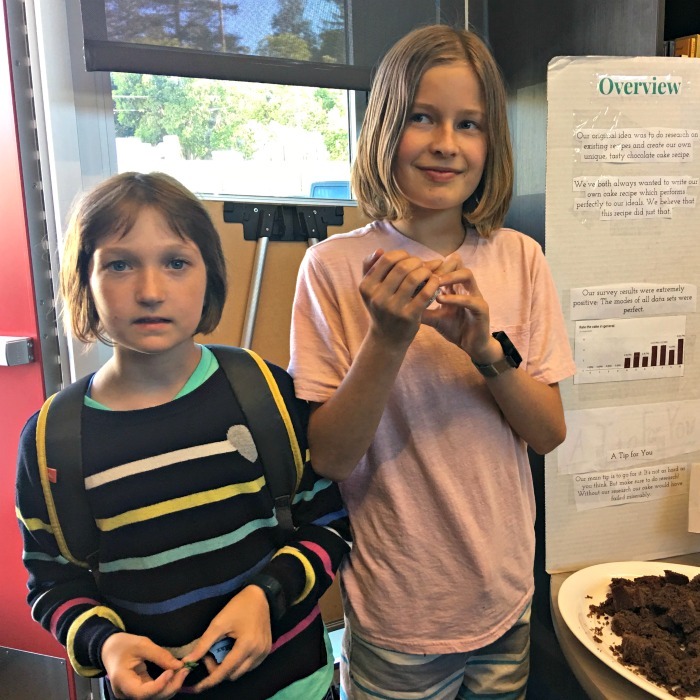 Are your kids participating in a science fair? So far my kids have consistently refused to participate in science fairs. It surprises me, because it's the sort of thing I loved as a kid. That snow speeder is incredible! Our co-op was going to have a fair this year, but there wasn't enough participation to make it work, so it got canceled. I was feeling too overwhelmed to make it work, but maybe next year.